What feature of Shot Scope do you like the best? 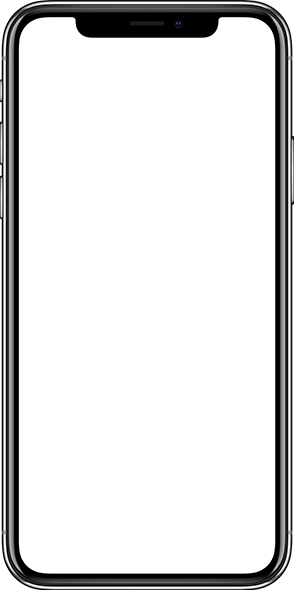 The entire performance dashboard. 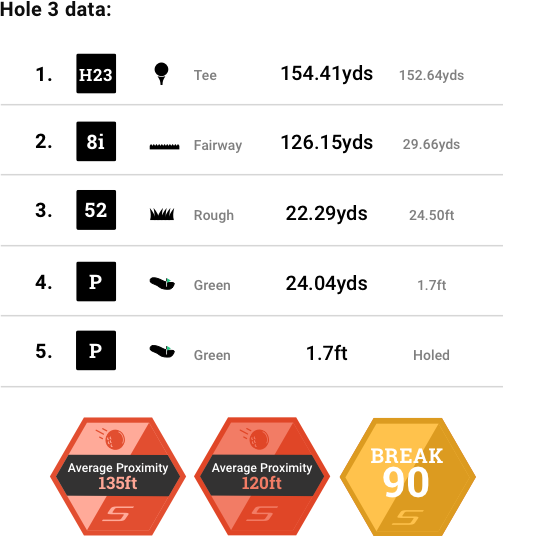 The data lets me analyse my stats then focus on a particular aspect of my golf. 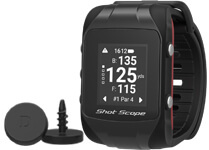 How does Shot Scope help your golf game? The data captured during a round highlights where improvements can be made. 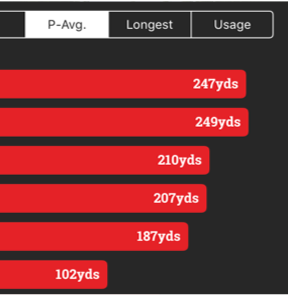 Last year I focussed on Tee Shots and my stats are much better now because of the data. What is your golfing goal? This year is to get down to 16 handicap. 2-3 year goal is single figures. Also to compete in amateur events. 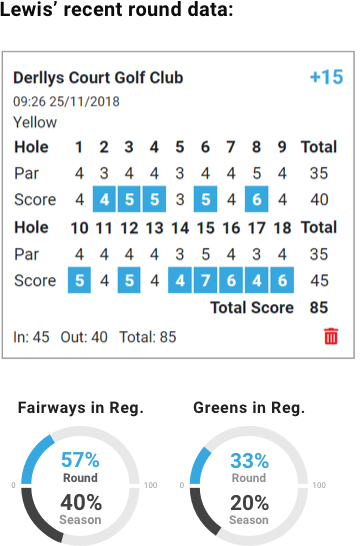 Breaking 90 on my home course for the first time and breaking the 20 handicap barrier. This year is to get down to 16 handicap. 2-3 year goal is single figures. Also to compete in amateur events. The Shot Scope V2 has changed my golf for the better. 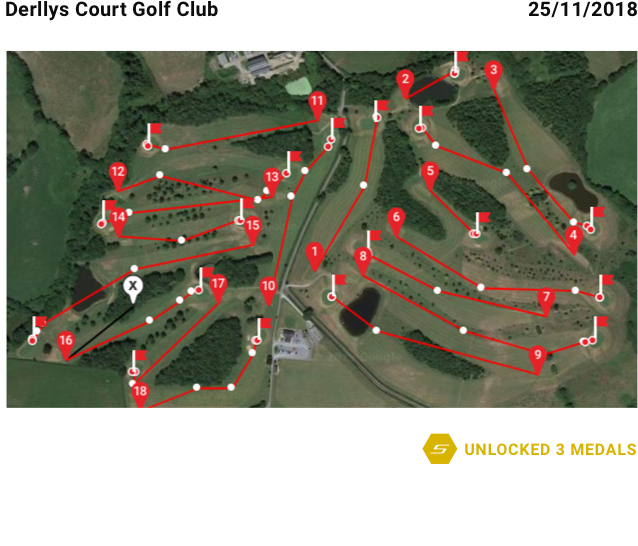 On course, it is a great GPS device. Off course, it gives me all the information I need and want to help find areas to improve on. It takes the guess work out of getting better and points you in the right direction. It’s become an integral part of my golf…. I don’t go on the course without it! Lewis holes a lot of medium range putts, 31% is a great percentage for a 20 handicap. However, the main area of focus within his putting is minimising the 3 putts. To do this Lewis should work on holing short range (<6ft) putts. Spend time practising holing 3, 4, and 5ft putts before heading out to play or when able to practise. 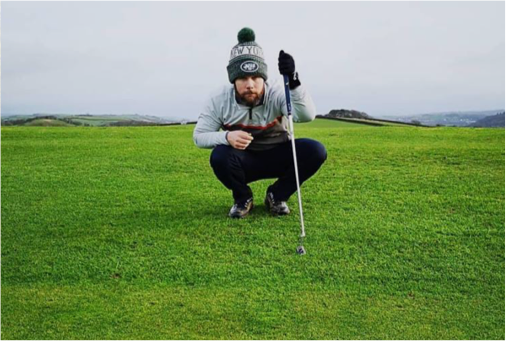 This means that if Lewis has a long putt which he gets within 6ft, he is more likely to convert the 2nd putt, reducing the number of 3 putts per round. 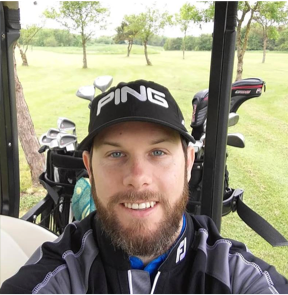 Lewis is relatively new to golf and he needs to focus on hitting more greens. The key to doing this is knowing and trusting the distance you hit each club. Focussing on his P-Avg and committing to hitting to the middle of the green yardage, will give Lewis more confidence. Knowing that he has the right club in his hand means he can fully commit to hitting the best shot possible. 17ft short game proximity is good for a 20 handicap, however the key to Lewis reducing his handicap is becoming better at short game. Lewis has used every club from a 5 iron to a putter for a short game shot. 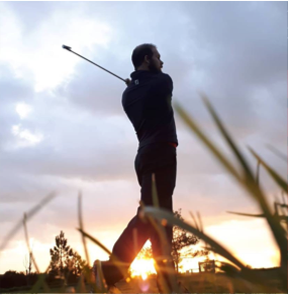 While it is great to experiment with a variety of clubs and shots, having a few clubs that you can rely on to get you ‘Up & Down’ around the green is vital. Lewis should pick a select few clubs (suggest putter, 52, 9 iron), practise with these and make them his go to clubs. We can see the breakdown Lewis’ two Drivers. 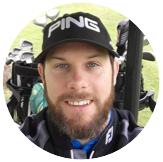 The old one he hit 36% of Fairways with, whereas he now has a new Driver, Ping G25, and is hitting 44% of Fairways, an excellent swap! The new Driver has given Lewis more accuracy off the tee, without sacrificing distance. 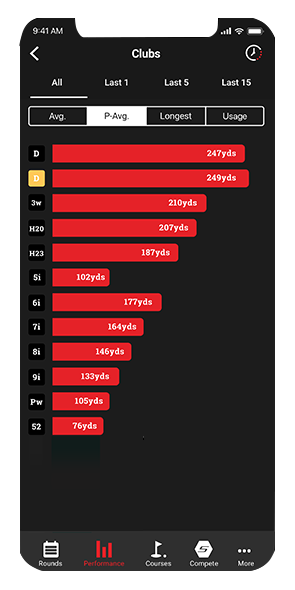 Lewis’ club distances are well spread out, apart from the 5 iron which sticks out. It would seem Lewis has difficulty with this club and it is perhaps an area to work on. 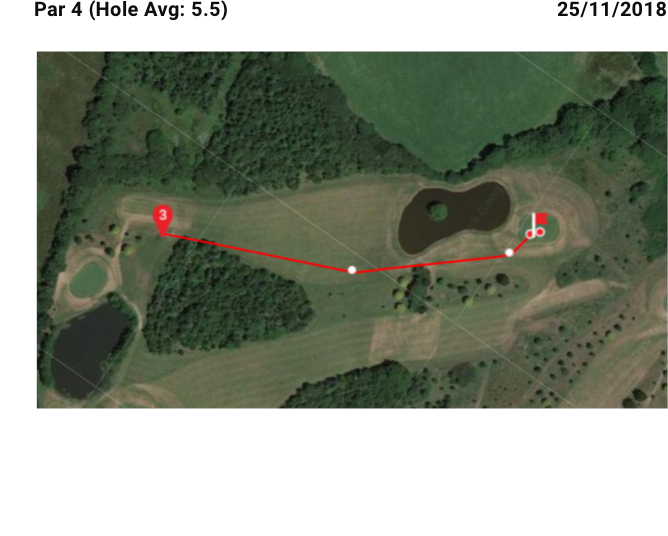 Other than that, for a relatively new golfer, Lewis is hitting it great distances. Lewis got a new driver as his accuracy was poor, we can see that the new Ping G25 has kept the same distance, as well as improving accuracy. Lewis holes a lot of medium range putts, 31% is a great percentage for a 20 handicap. However, the main area of focus within his putting is minimising the 3 putts. To do this Lewis should work on holing short range ( <6ft) putts. 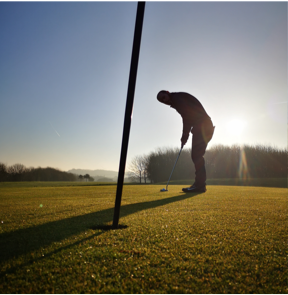 Spend time practising holing 3, 4, and 5ft putts before heading out to play or when able to practise. 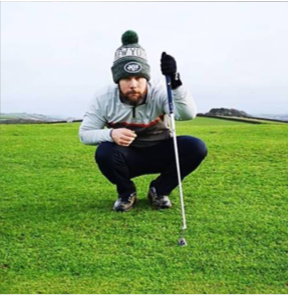 This means that if Lewis has a long putt which he gets within 6ft, he is more likely to convert the 2nd putt, reducing the number of 3 putts per round.